As readers we often look for our likenesses in the books we devour, hoping to find ourselves within the carefully crafted characters of an author's literary work. We long for characters that leap from the pages and experience life in many ways that we do, facing similar challenges as we find hope in their triumphs or eventual "happily ever afters." I found bits of myself within the richness of a character by the name of Venus as I read Nappily Ever After last holiday season. She's a woman who, like many of us, took the first step of embracing change in her life by cutting her hair. Venus really left an impression on me, causing me to do some deep introspection (and long to cut my hair). Has this also been you? How many times have you tried to change the outlook on your life by changing up your hair? Being so moved by a character that you find yourself trying to keep up with her, continuing her series and even following her creator on social media to find her whereabouts are not strange actions for book lovers like us. 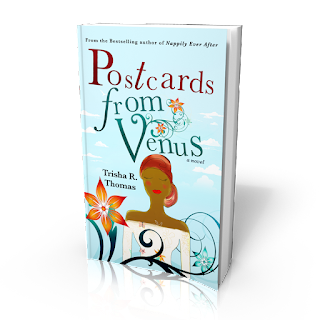 So you can imagine how elated I was in receiving the opportunity to talk to author Trisha R. Thomas more about the Nappily Series and her latest installment to the series, Postcards to Venus. 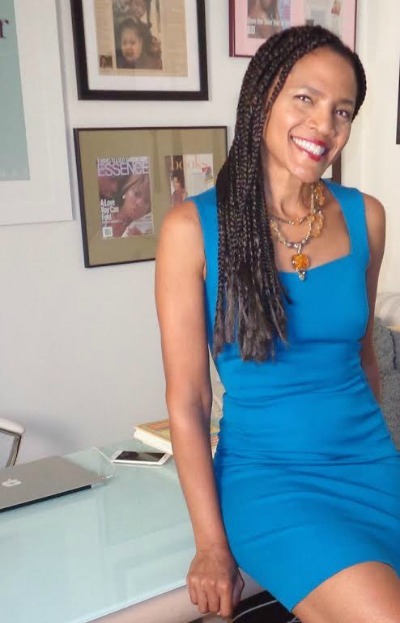 As the author of highly acclaimed novel Nappily Ever After, Trisha R. Thomas is also a 32nd NAACP Image Award finalist for Outstanding Literary Work and Best New Fiction by the Black Writer's Alliance. 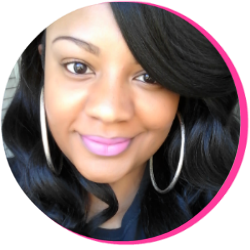 Her literary work has been reviewed in Essence, O Magazine, Entertainment Weekly, and the Washington Post. Universal Studios optioned her debut novel, Nappily Ever After for adaptation to film (with Halle Berry slated to star as our beloved Venus). 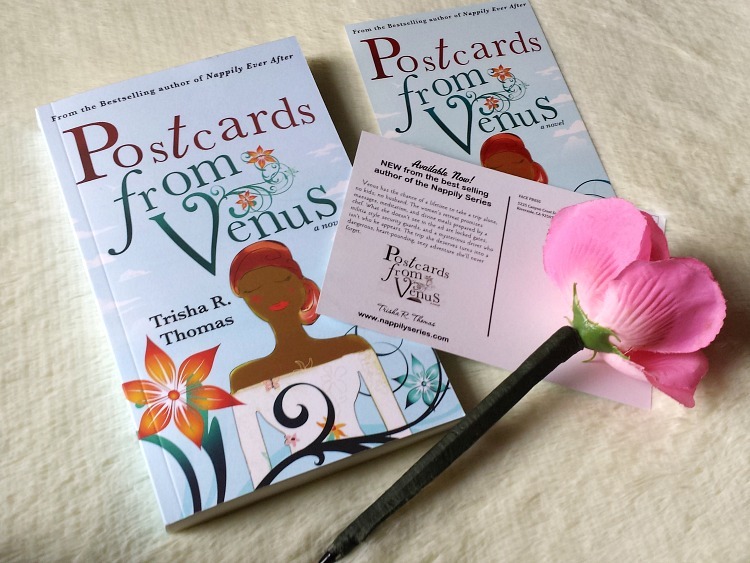 Her latest novel, Postcards from Venus, is the 9th installment of the Nappily Series. 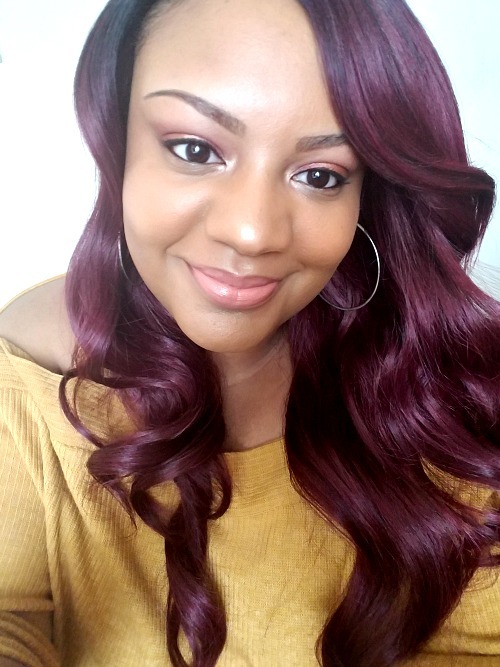 In today's interview, Trisha tells us more about her latest book as well as dishes about her inspiration to write about Venus, and her motivation in keeping the series going. 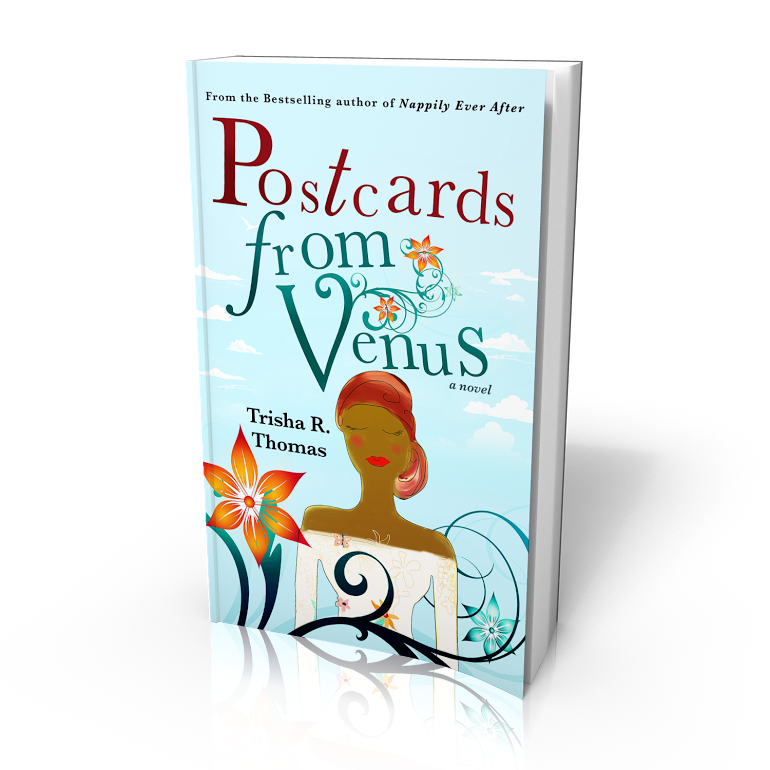 After the interview, I'll tell you guys how you can win your own copy of Postcards from Venus. What inspired you to share Venus and her story with us? How have your own personal experiences colored her story? First of all, Venus is my friend. She’s real to me. So I care about her well-being and take a lot of time thinking about where she’s come from and where I want her to go, doing my best to keep her happy and healthy along the way. It’s very personal, like the old saying, ‘it’s your life, so make it a great story.’ That’s what I do when I’m writing about Venus. I put my whole self in her shoes. What obstacles have you faced in bringing her story to life? None really. I started out with Random House with the first couple of books in the series, and then moved to another publisher. I’ve recently taken the reins and started my own publishing house to distribute the newest releases. Since the series had a tight knit following, there wasn’t much of a transition. When a new book comes out, my readers know it and we’re off and running. The Nappily Series has been a highly successful series at nine books strong! That is such an amazing accomplishment as an author. What has been your motivation in continuing this series? The readers and lovers of the Nappily Series are my motivation. I swear they inspire me. Venus says what’s on her mind. She gets to say and do what we wish we could. Most of my readers feel like I do, she’s that best friend who tells it like it is and isn’t afraid to take a chance. The readers kind of live vicariously through her. Venus has kicked out her med-school boyfriend, cut off all her hair, quit a job, started a business, met the man of her dreams, fought off a stalker, and raised a family. She’s awesome and badass. What have you enjoyed the most about the process of writing the Nappily Series over the years? The least? The thing I love is the finished product. What I like the least is that it takes so long (a year) to write one of my novels. Speaking of the writing process, I would love to know about yours. Is your writing space filled with bright images and smooth tunes as you write? Do you turn off your phone hours at a time to avoid distractions? Has your process changed over the years with each published book? What makes you arrive to your most inspired place? I write everywhere. In my car, on planes, in my bed, on the couch. I do have an office, really light and airy with a big glass desk and a cozy couch, but I mostly land there to read and edit. I can imagine readers always ask you about their favorite characters. Do you ever find yourself revisiting storylines? I love bringing new folks in for Venus to show a different side. Her interactions with difficult people are the most fun to watch. I’ve been told I do a great job of recapping the storyline in each book so no one really has to start from the beginning of the series. You can start with any of the books that interest you and be in the moment. My fav example is Nappily Faithful. I introduce a judge name Delma who could seriously rock her own series. Tell us a bit about Postcards from Venus. What do you hope readers take away from reading Postcards from Venus? When you reach the ninth book in a series, the question has to arise, ‘are people still interested?’ So it’s up to me to raise the bar. I did that in this new book. Venus sets off on a Women’s Retreat in Mexico and meets Gabriel, becomes lost on a deserted island and her life changes because of this one event. I love this story. I love Gabriel. I have to apologize in advance to all the Jake fans, but it’s about time hubby got a little of his own medicine. How can readers stay informed with the latest news about you and your books? I’m keeping up with Facebook with a fan page, on Twitter, and Instagram I post pretty often. The only thing I haven’t mastered yet is Snapchat. We’ll save that for when the movie starts filming. Yes, there’s still hope. I would like to thank Trisha for her time and the opportunity to share this interview with you guys. 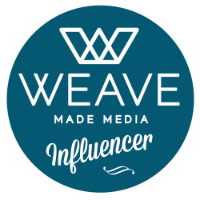 Be sure to follow her on Twitter and Instagram to stay posted on all things Venus, including status updates on the Nappily Ever After film.